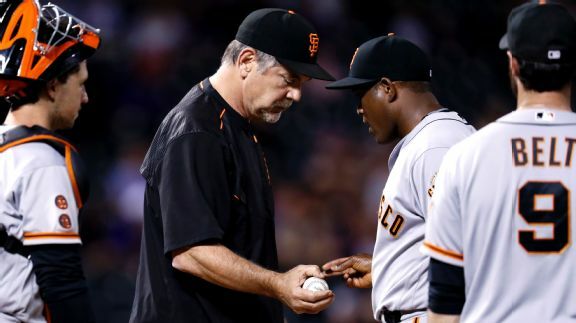 The setting was Colorado and the culprits were many for Bruce Bochy's Giants, who saw their lead in the NL wild-card chase dwindle to a half-game. 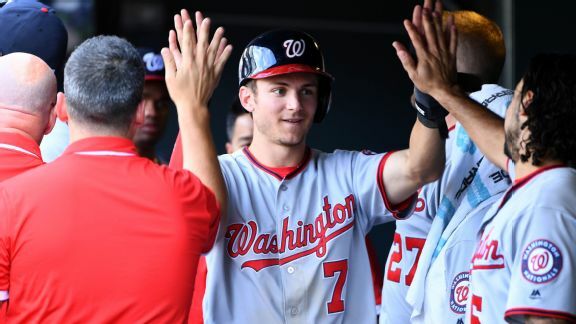 Trea Turner's game-changing speed is causing havoc on the bases and propelling the Nationals to new heights. 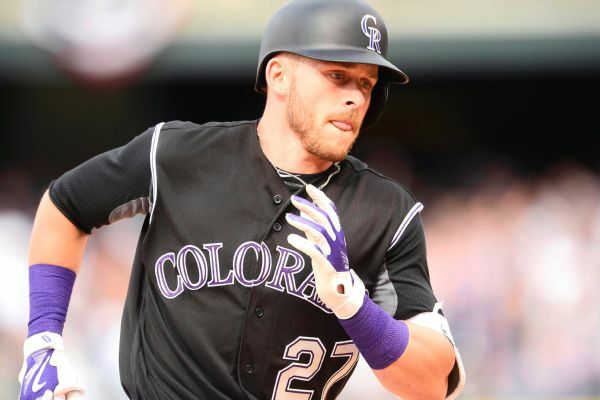 Trevor Story was out of the Colorado Rockies' lineup Sunday against the New York Mets because of a jammed left thumb. 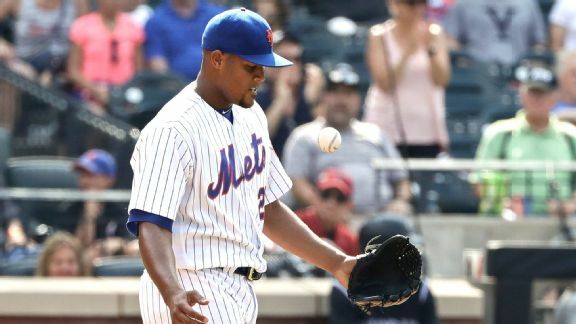 Jeurys Familia failed to protect a one-run lead in the ninth for the second straight game as the Rockies rallied for a 2-1 win against the Mets. With new leader Nolan Arenado taking hot shot Trevor Story under his wing, the Rockies' culture has gotten a youthful jolt. 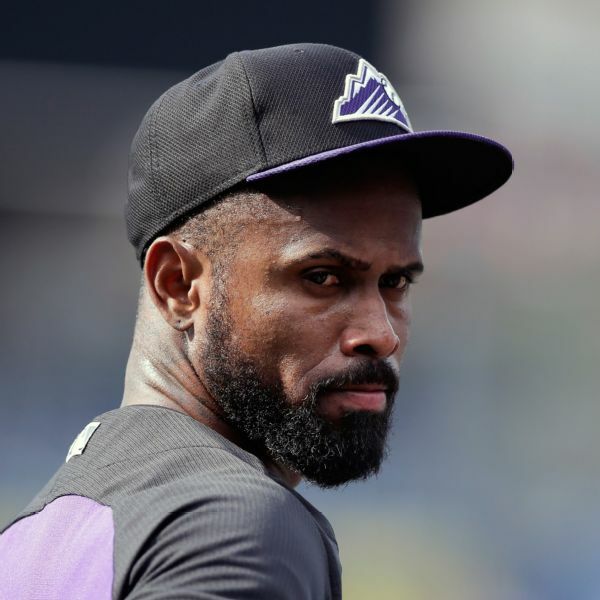 The Colorado Rockies began their exhibition schedule Wednesday facing the possibility they'll be without starting shortstop Jose Reyes for a large portion of the season. 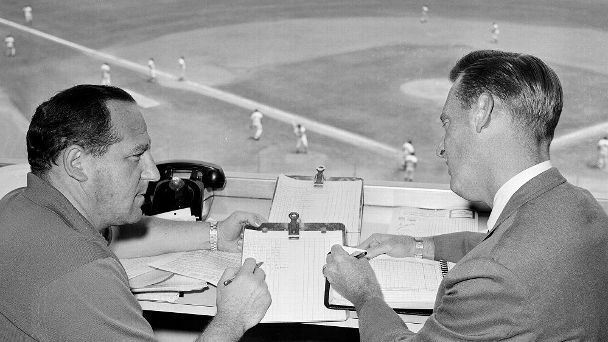 With Jose Reyes not yet in camp as he faces discipline for a domestic violence charge, the Rockies will have an open competition for the shortstop job. The Colorado Rockies have reinstated right-handed pitcher Kyle Kendrick and left-handed pitcher Boone Logan from the 15-day disabled list. 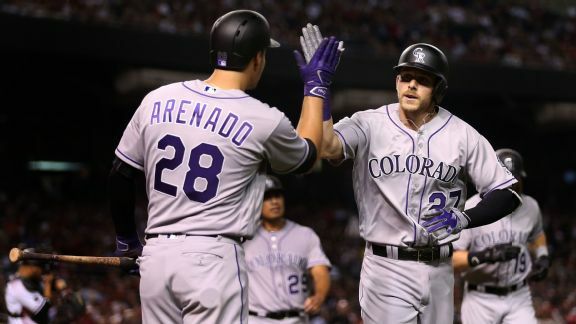 A day after trading shortstop Troy Tulowitzki and right-hander LaTroy Hawkins to the Blue Jays, the Rockies called up relievers Aaron Laffey and Justin Miller and shortstop Cristhian Adames.